RIGHT ON YOUR OWN PC! Download a demo... or let us demonstrate how SSDCP works LIVE, right over the Internet! 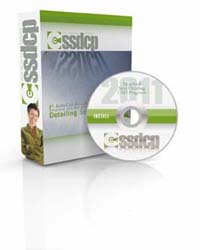 SSDCP is the most comprehensive and widely used set of AutoCAD programs you can get. Each is designed by steel detailers to be both productive and intuitive. Use SSDCP alone or in tandem with 3D software to quickly detail Stairs, Handrails, Beams, Columns, Bracing, Plans & Elevations, Trusses, Girts, Frames, Ladders, Chutes, Hoppers, Embeds, and virtually anything else related to steel. DEEP DISCOUNTS. The more programs you buy, the bigger your discount. SAVE 40% when you buy them all ... or get just the ones you need now and add more later! GREAT LOOKING DRAWINGS are produced automatically by entering a few dimensions. SSDCP drawings are styled directly from AISC examples.